Peace Corps Mozambique: Letters Home!! Boil the salt cod in water for 15 minutes. In the meantime peel and slice the pawpaw, discard the seeds, and set it aside. When the fish is cooked, put it under some running water to cool, then remove the skin and bones and flake the fish. 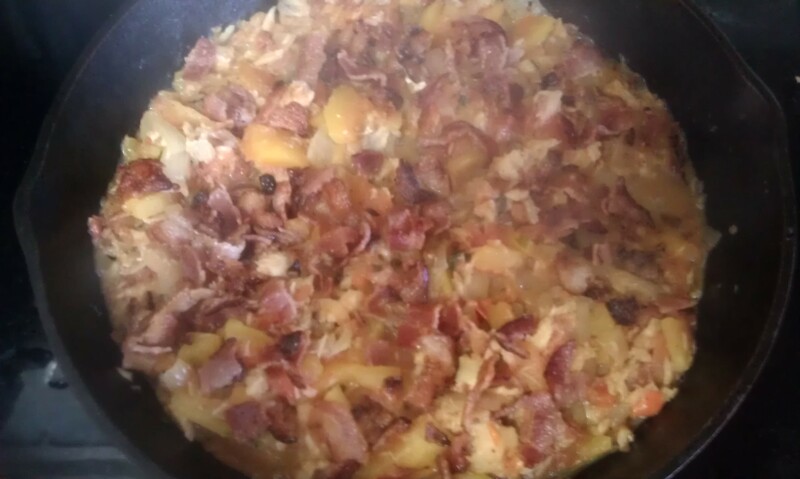 Fry the bacon in a little oil, then remove from the pan and set aside. Add the onions, tomato, hot pepper and thyme to the pan. Stir for a few minutes and then add the flaked fish; stir again and add the slices pawpaw. Pour in the water, cover the pan, and simmer until the pawpaw is tender and the liquid is reduced to a gravy. 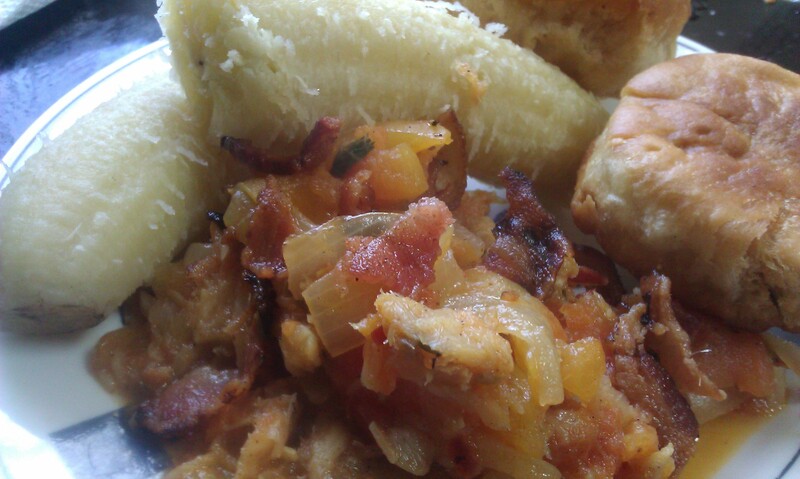 Garnish the saltfish and pawpaw with the bacon. Like I said, I have never used or opened a papaya. Gorgeous. When I opened it, I got worried. 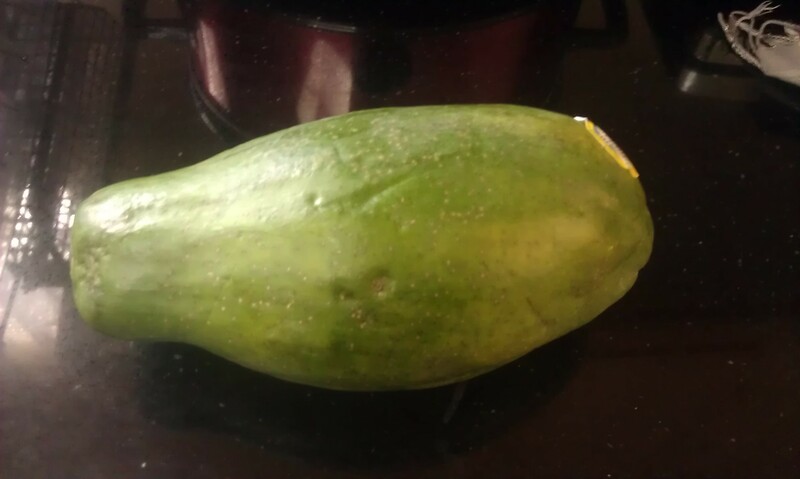 The Papaya was a little more ripe than I thought. I decided to go ahead and move forward with the recipe. I scooped the seeds of the papaya out and began slicing. 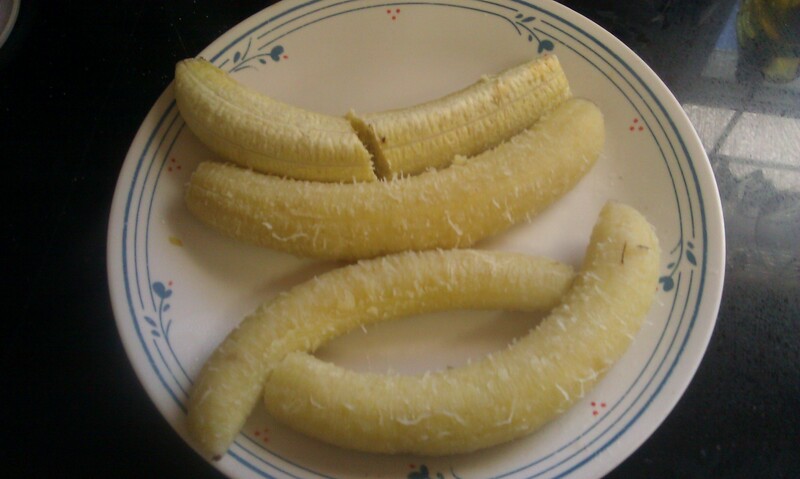 I also began boiling some green bananas to go along with it. I followed the recipe exactly, except I added more thyme and a few red pepper flakes. Sprinkled the bacon on top!! Bacon makes everything delicious! I had to taste it at this point. My goodness…divine! A sweet, salty, spicy mix of flavors! I served it with some left over dumplings and the boiled green banana. I was so nervous to try this, but it turned out so good. 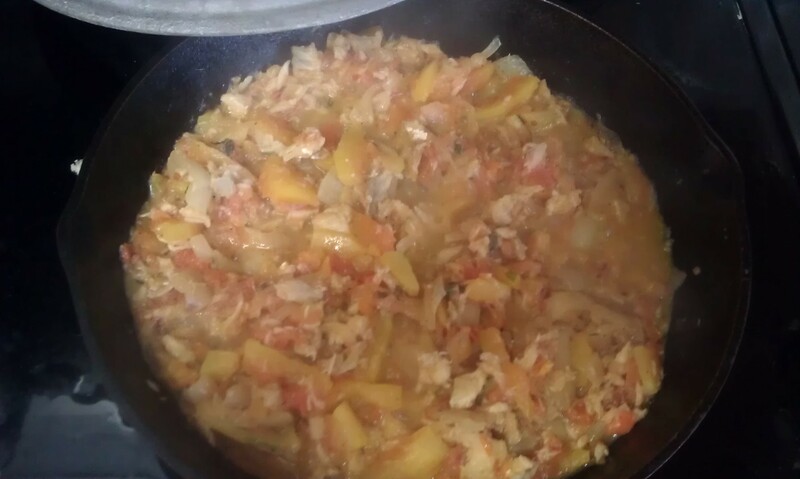 I am glad to have another saltfish recipe under my belt. My dad also enjoyed it. 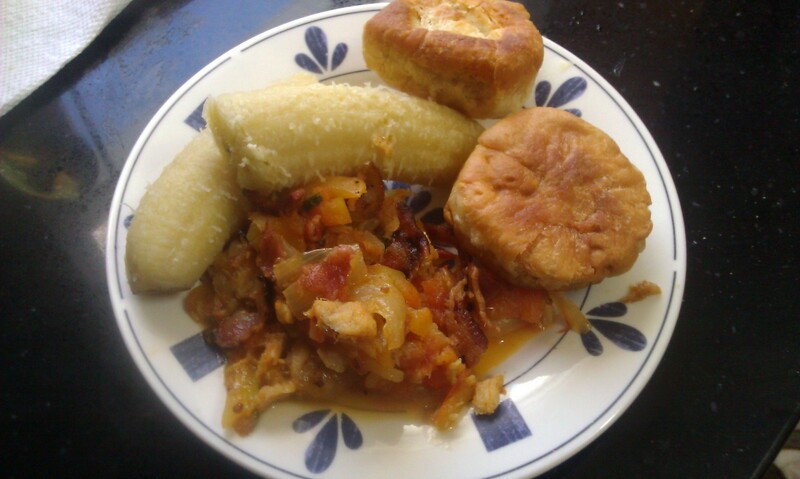 He said I needed to make more gravy so the dumpling and the banana could soak some of it up. 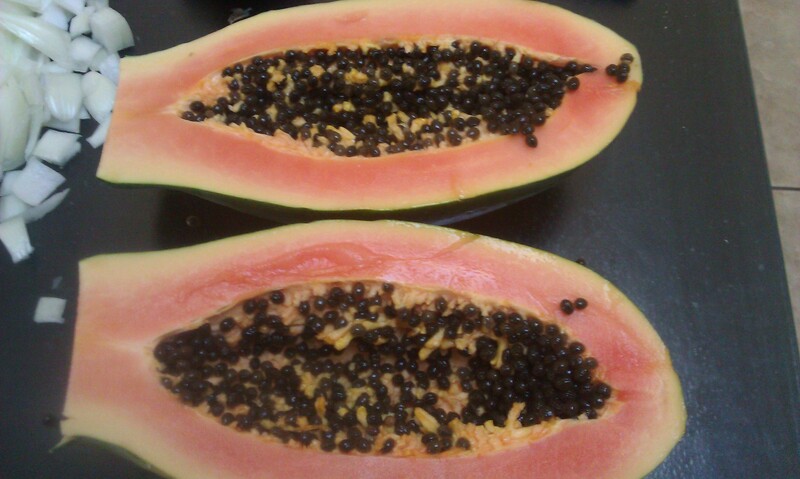 Next time, I will also try to find a less ripe papaya. My dad said it should be more green than pink, but he said quote “It nah taste bad, it taste good ya nuh” lol.. Keep it spicy! The contents of this website are my own and do not reflect the position of the U.S. Government or the Peace Corps.